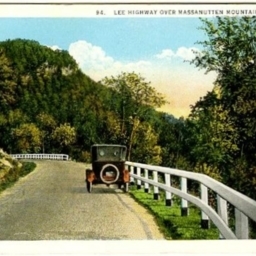 Postcard showing a car crossing the Massanutten Mountains on the Lee Highway (US Route 211). The highway crosses the mountain at the New Market Gap. 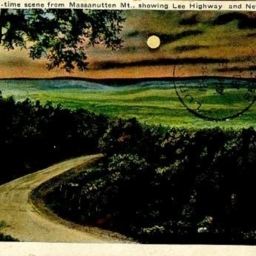 Night-time scene from Massanutten Mountain Showing Lee Highway and New Market Va.
Postcard showing a nighttime scene of the Shenandoah Valley taken from atop New Market Gap in the Massanutten Mountain Range. 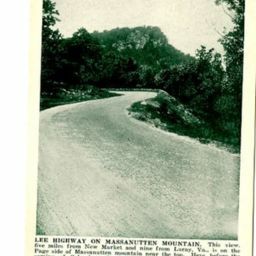 Massanutten Mountain Scene, East of New Market, Va.
Postcard showing a view of the Massanutten Mountain, east of New Market Virginia, taken from the Lee Highway (US Route 211. 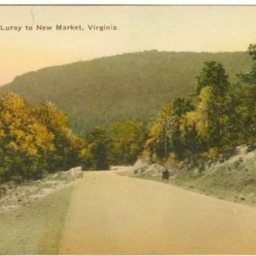 Postcard showing a stretch of the Lee Highway (US Route 211) running between New Market Virginia and Luray Virginia. 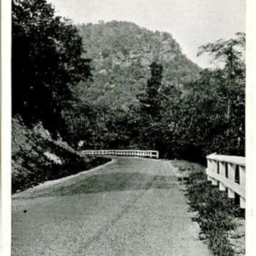 Postcard showing a view of the Lee Highway as it crosses Massanutten Mountain near New Market Virginia. Includes a description of the highway and the place where it crosses the mountain. Postcard showing the New Market Gap. Photograph is taken from the Lee Highway. 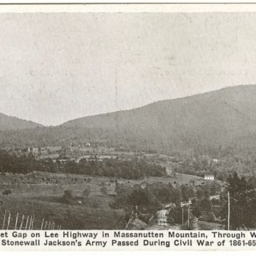 Looking East from New Market, Va., Lee Highway and New Market Gap in Massanutten Mtn. 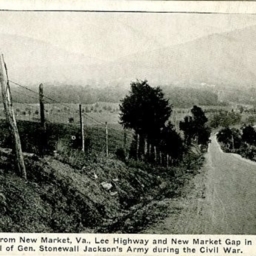 Postcard showing the Lee Highway as it passes through the New Market Gap near New Market Virginia.